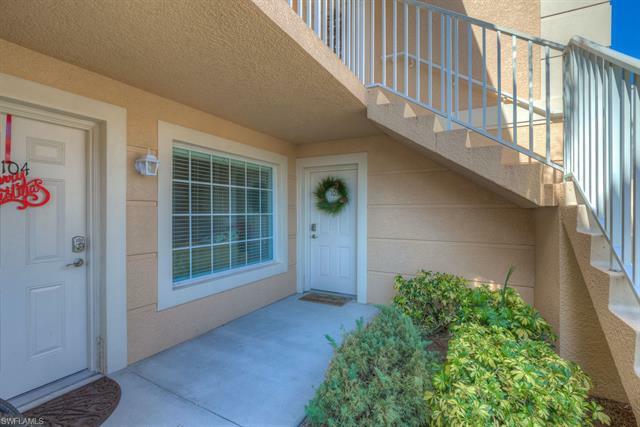 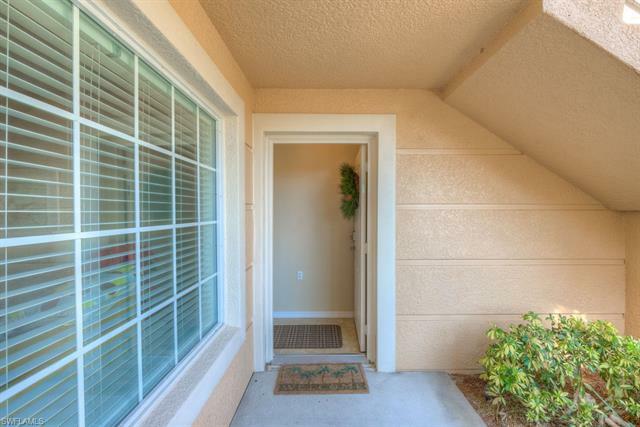 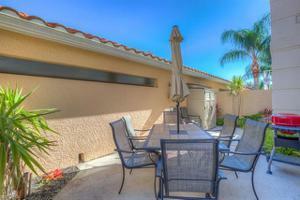 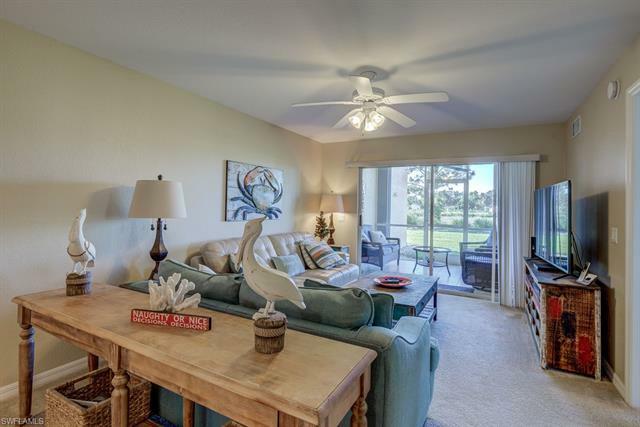 Rarely available courtyard END unit in the very desirable community of Bonita Fairways. 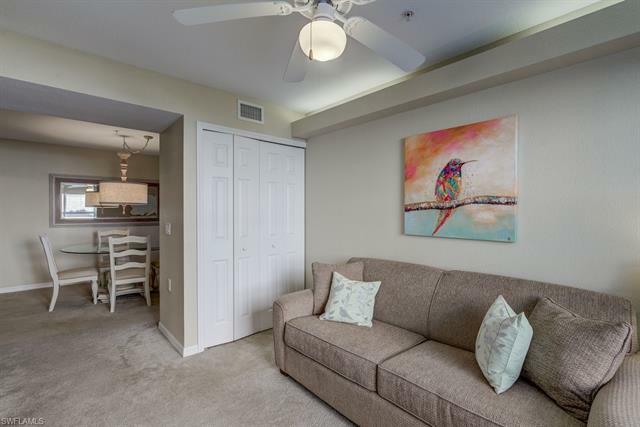 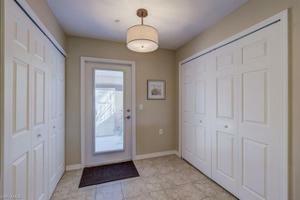 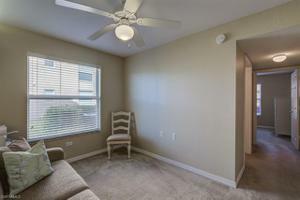 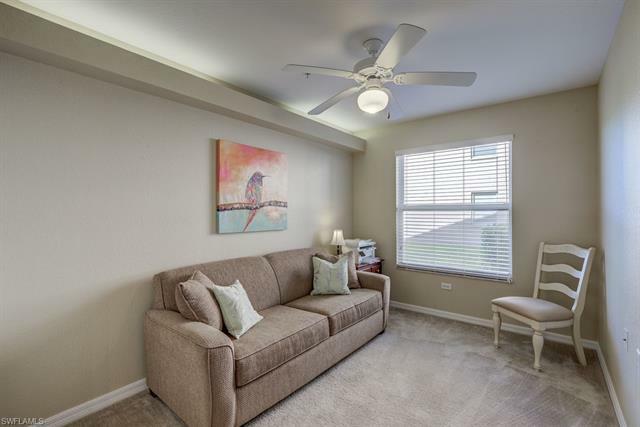 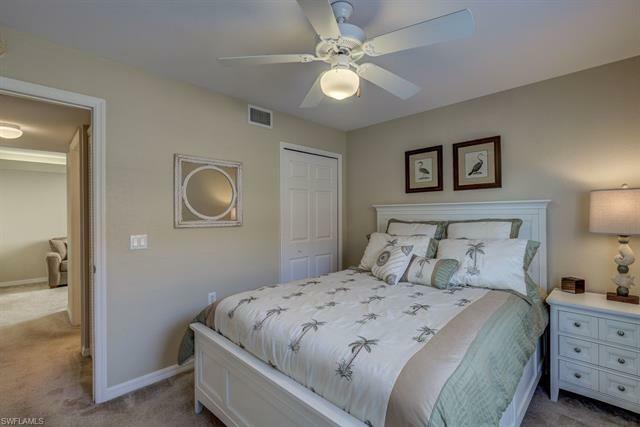 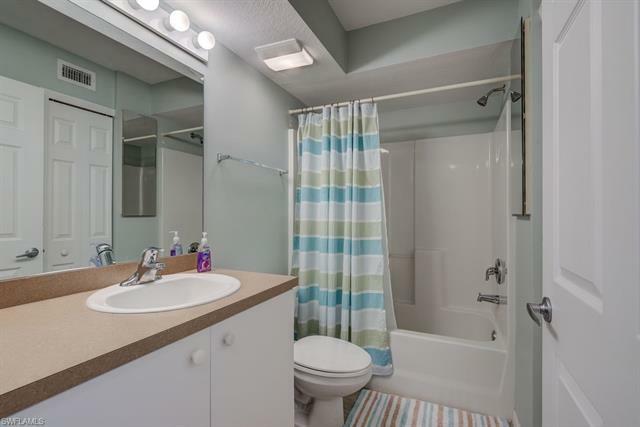 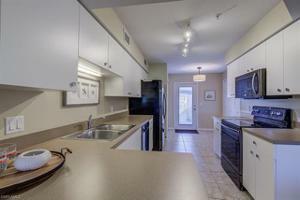 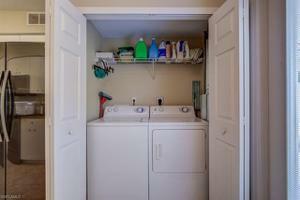 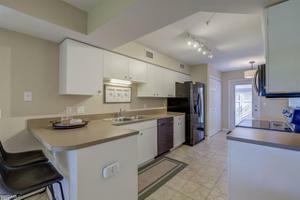 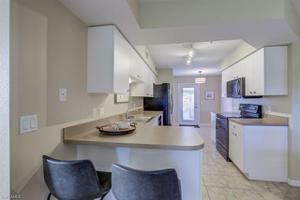 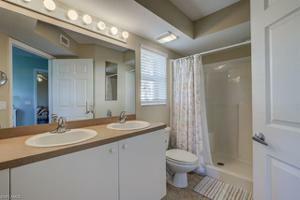 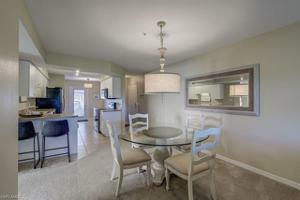 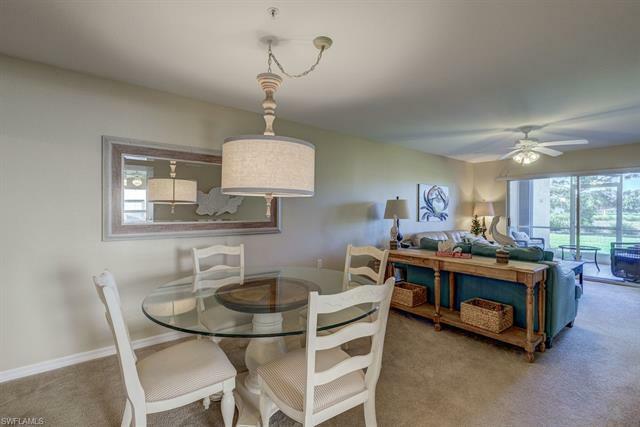 This beautiful condo offers 2 bedrooms plus den, 2 full baths, walk-in closet in master bedroom. 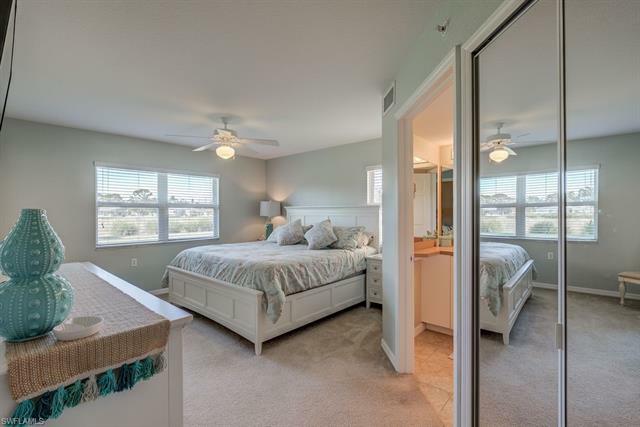 Large kitchen with updated lighting, newer stainless steel appliances, fresh paint throughout all rooms, recently installed accordion shutters on the lanai and ceramic tile on lanai and bathrooms. 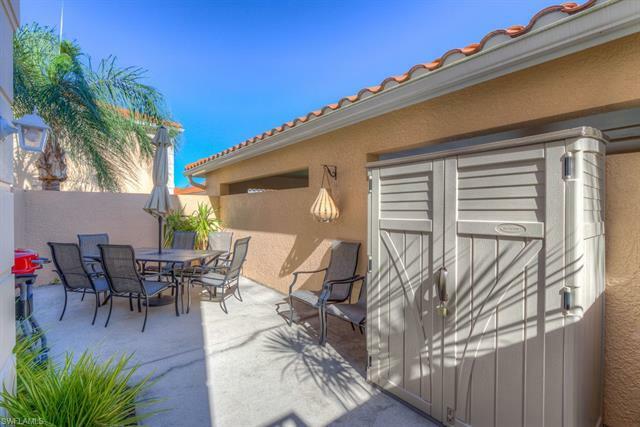 Easy access from the kitchen to the spacious courtyard for outdoor dining or entertaining. 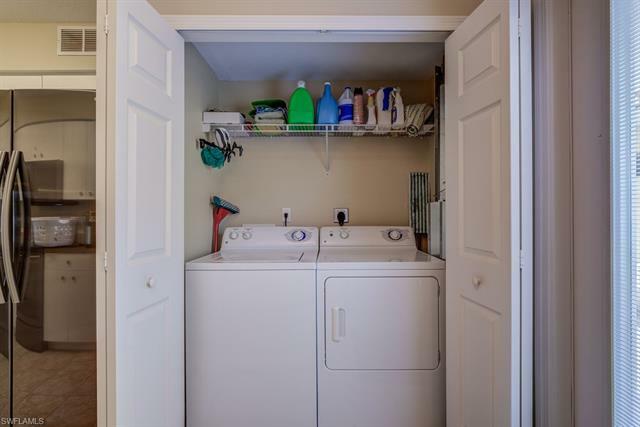 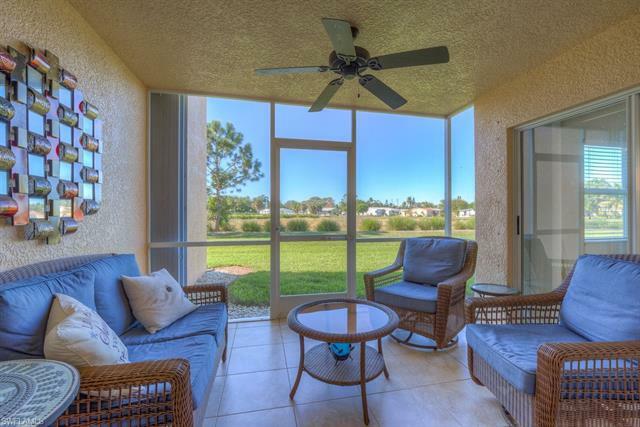 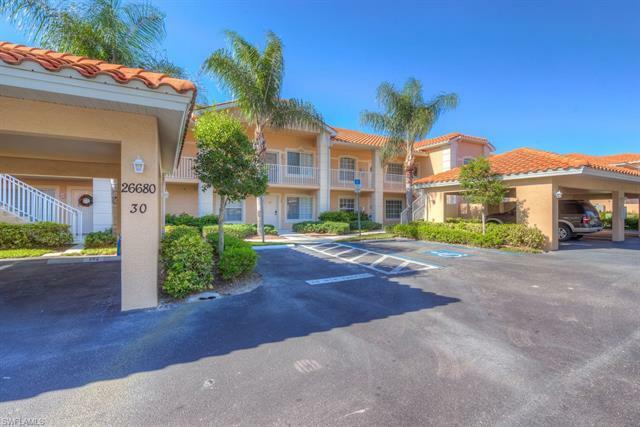 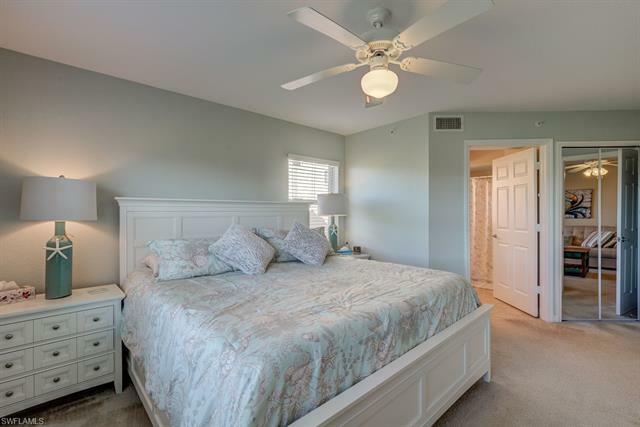 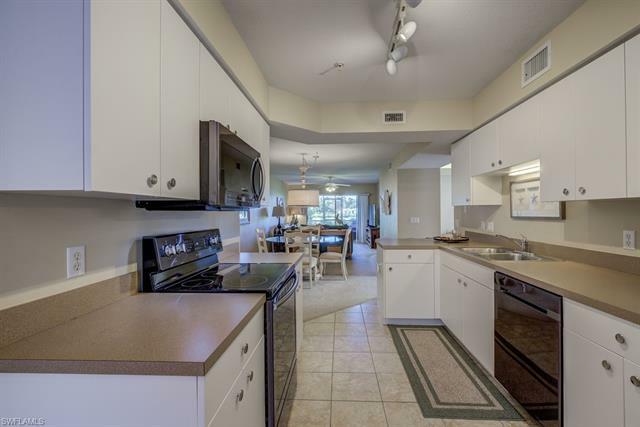 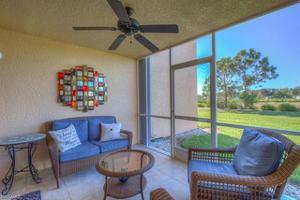 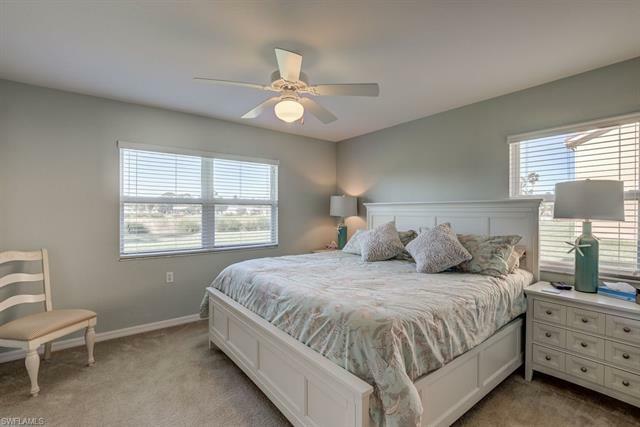 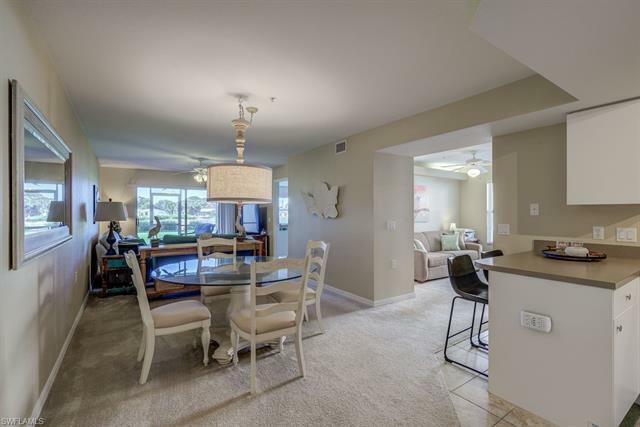 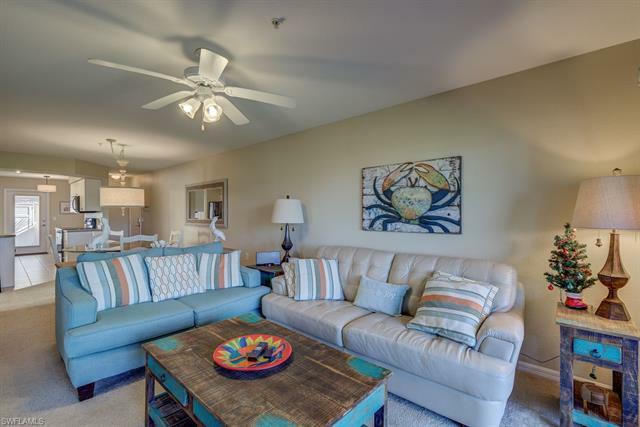 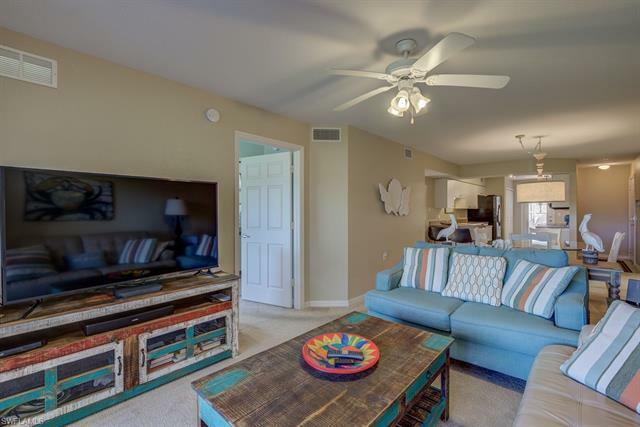 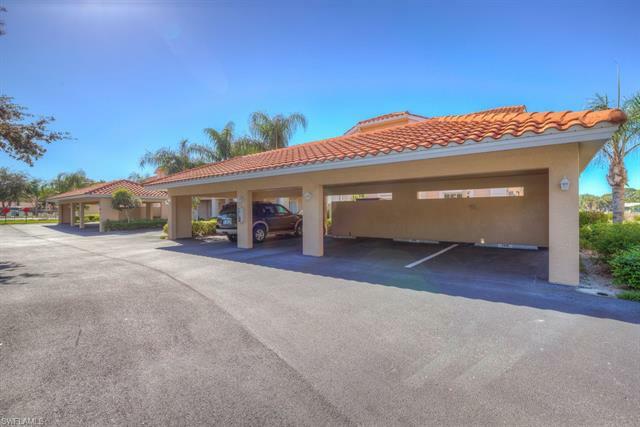 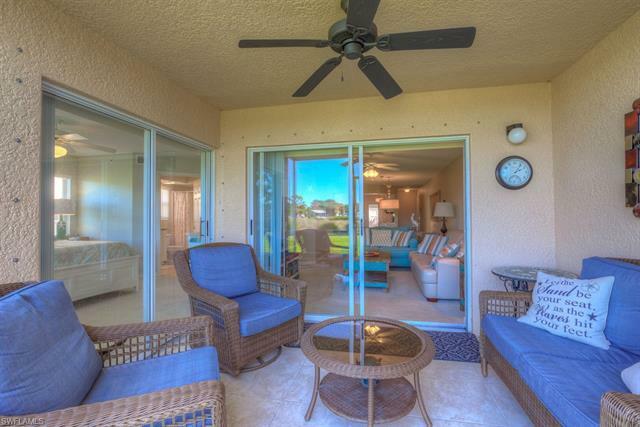 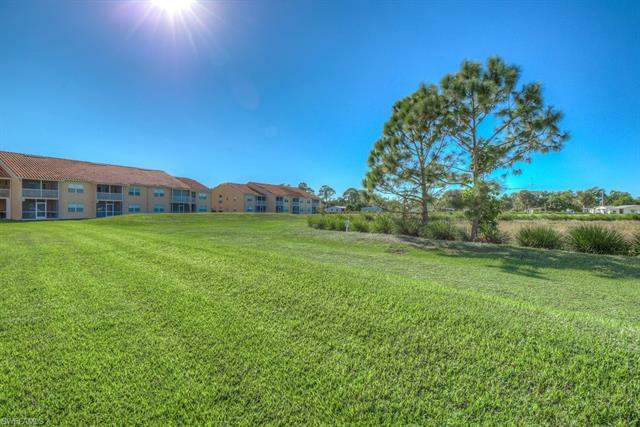 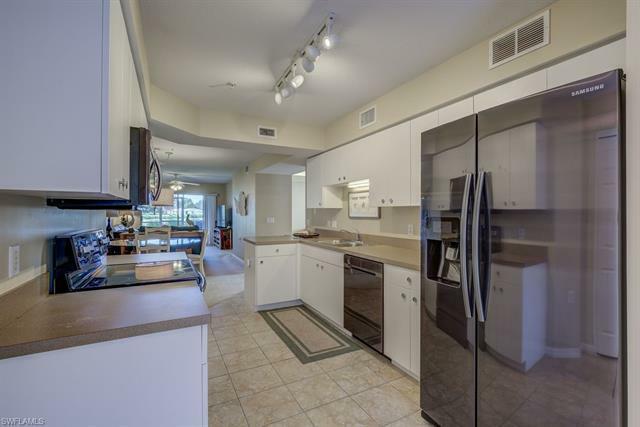 Enjoy the beautiful sunsets and observe nature, from the screened lanai as well as views of the preserve and the golf course This condo includes a covered carport and in-unit laundry. One of the many pools in the community is located right next to the building for easy access. 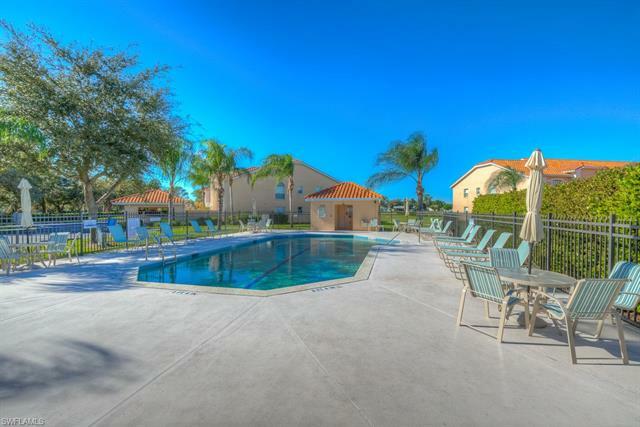 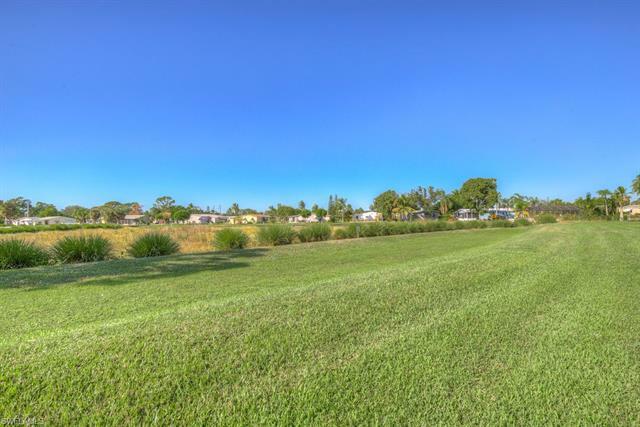 This is a gated community with very low HOA fees, a public 18-hole executive golf course with no mandatory fees, restaurant, bar, community pool, hot tub, tennis, pickleball, pools, community room, fitness center, billiards. 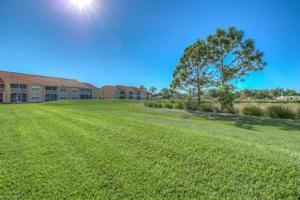 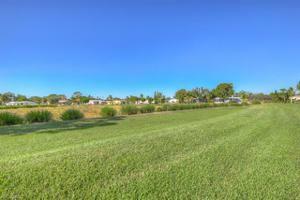 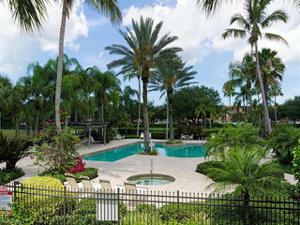 Very close proximity to the airport, Bonita Beach, Barefoot Beach, Coconut Pointe, and Mercato.